I don't know what happens at your house, but at mine, keeping it clean and organized is a daily struggle. One of my biggest frustrations as a mother has been teaching my children to clean properly. Properly, meaning they don't just shuffle a few things around and call it good. Properly, meaning they don't do a half job. Properly, meaning they clean it almost as well as I would clean it myself. I don't expect a perfect job out of them. I really don't. But I do expect them to do their best--and that best only gets better the older they get. At this point, when Bria cleans the bathroom she does a spectacular job. Sophia's bathroom cleaning isn't quite as good yet, but she has a few years, and that's okay. One of the things that I do to help the girls clean without feeling overwhelmed is to break the jobs down into smaller bits. 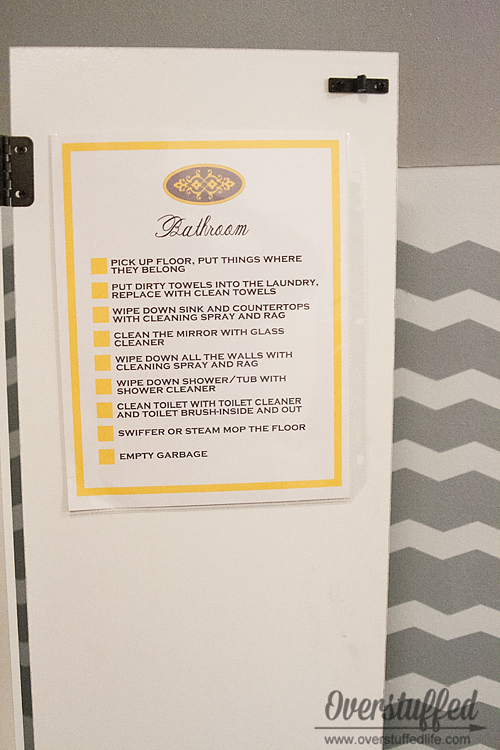 Instead of "clean the bathroom" they get a detailed list of exactly what cleaning the bathroom entails: change the towels, wipe down the counters, clean the sink, clean the toilet, etc. They do a much better job this way, and they don't usually forget any of the steps. I put the checklists into page protectors and then tape them up somewhere in each room that is hidden. In the bathroom cupboard, inside the dining room hutch, inside closet doors, etc. I have checklists for every room in the house, I have mentioned them before in THIS POST. So many of my readers have emailed me wondering if they could have copies of them that I thought I would make a few of them cuter, a little more universal, and printable. 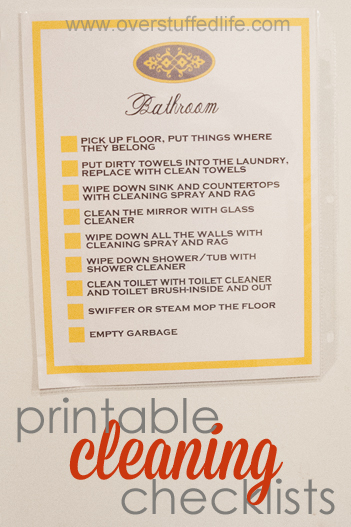 I have four printable checklists for you: Bathroom, Living Room, Dining Room, and Family Room. Most of the other rooms in my house are pretty unique and the things on the list wouldn't necessarily apply to you. 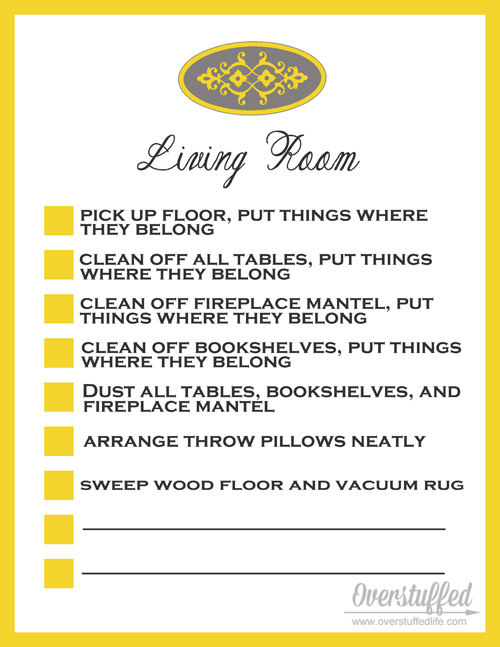 I encourage you to make your own checklists for those unique rooms you have in your house, too. Just go into the room and write down all of the things YOU would do to get it cleaned up to your standards, and then type it up into a checklist. Pretty simple! My checklists are actually less detailed now than they were a couple years ago. This is because I don't have to be quite so nitpicky. My bathroom checklist at one point said things like "throw away empty shampoo bottles in the shower" and "close cabinet doors" because they wouldn't get done otherwise. I seriously had quite the collection of empty shampoo, conditioner, and bodywash bottles in the girls' shower for a little while there! When the kids know better, they do better. As a mother, this is one simple way I can help them to know better. And when they then do better, we are all happier. I can't even explain to you how very happy a clean home makes me! Enter your email address in the form below and the checklists will be sent directly to your email inbox. If you are on a mobile device, click here to see the form. For their bedrooms, I have another checklist that I have shared before. 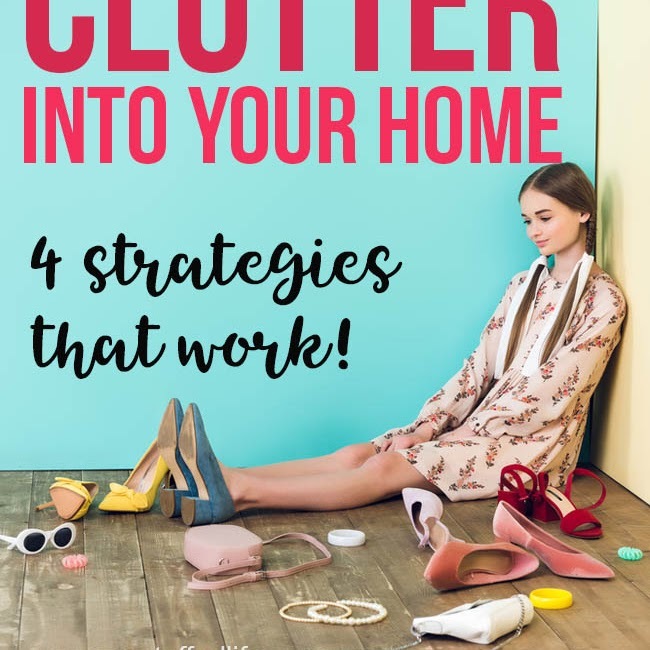 You can find it here: Is Your Room Mommy Clean? Too funny! I wish I had thought to ask my kids when they were younger! Guess I'll have to wait for the next one to get old enough! :-) Glad you made the beach anyway - that's WAY too cold for this time of year! Such a great idea--and to stop having to check in on them all the time! Gorgeous printable. I love the yellow. Thank you for sharing this I SO need it in my life! 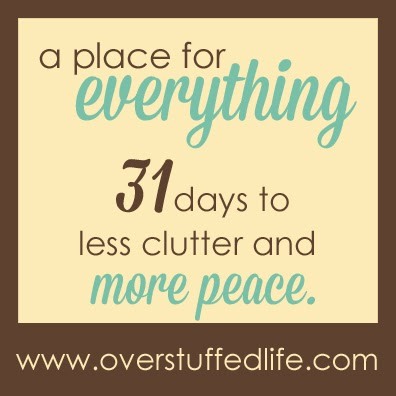 I love that the list isn't overwhelming, seems totally doable!